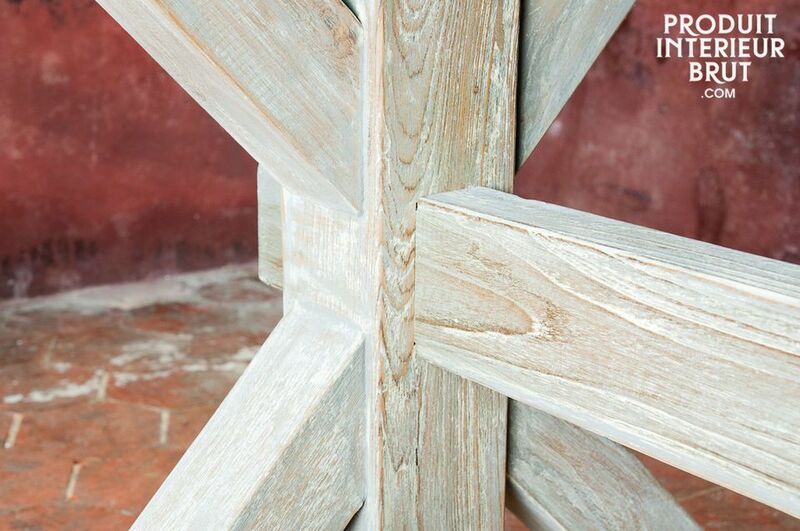 This design with distressed hard teak and its traditional wooden base confers to this table a unique style. 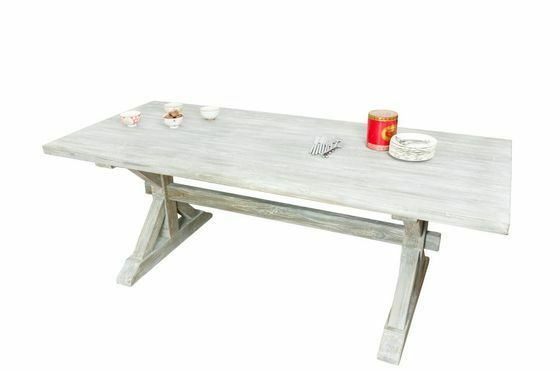 The usage of thick hardwood make of this table a particular robust piece of furniture, designed to last for a long time. 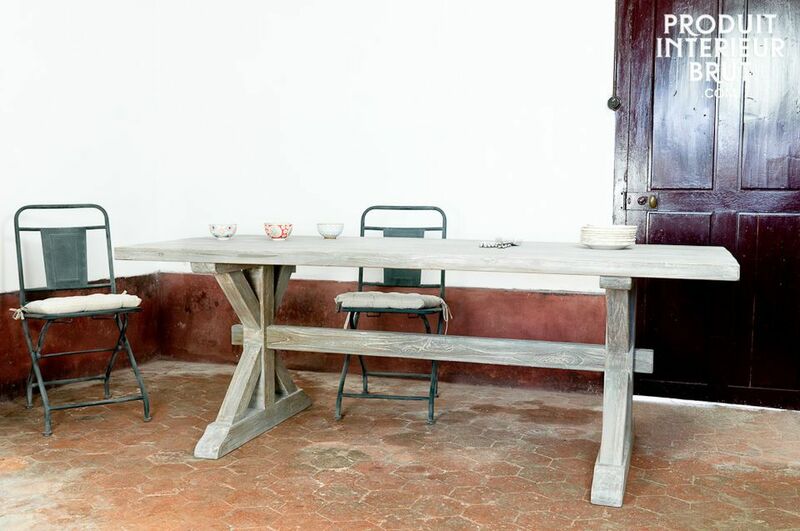 The great size of the Rosalie Table allows up to twelve people to be seated comfortably. This shows how much this furniture is designed for a families, ideal for Sunday meals as much as daily suppers. 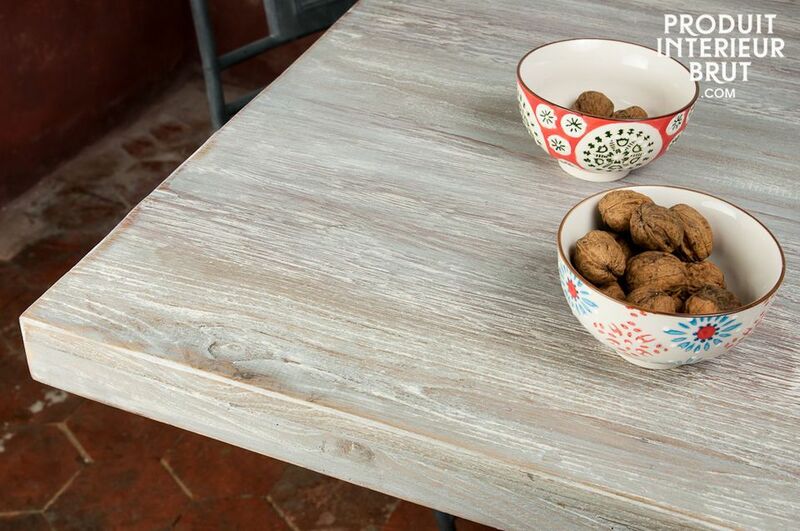 Neatly finished, the table's gray and distressed painting applied to the hardwood gives a true shabby chic style touch to your interior. 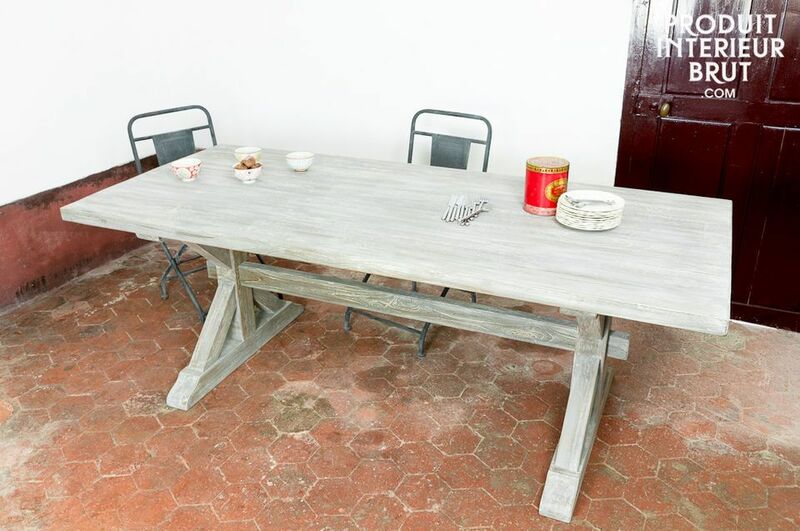 The below of the table shows a slight sign of varnished teak. To make the shipping easier, the table is delivered separated from its legs, that are very easy to fix back on the platter.